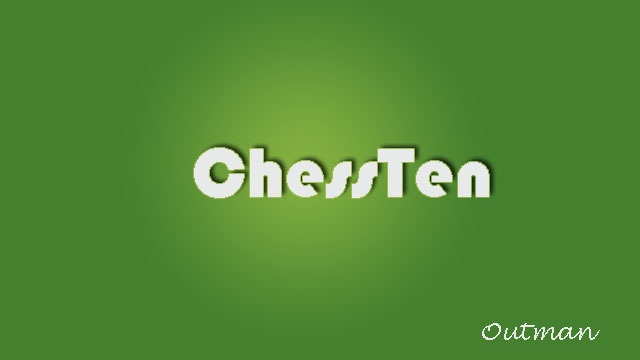 ChessTen is a simple and funny game. There are totally ten pieces on the chess board. It has Human VS Human, Human VS AI and AI VS AI modes. 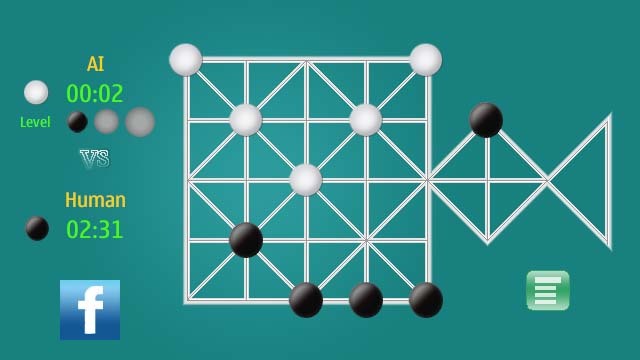 Moves:Pieces can move to any node on a straight line, pieces cannot jump over each other. Capture:Two pieces capture one or one piece capture two and chain capture is a fun of the game. Win the game:No opposite piece or opposite pieces are blocked.